Galway East Tourism - Gort Golf Club in East Galway, West of Ireland.Galway East Tourism - Gort Golf Club in East Galway, West of Ireland. Founded in 1924, re-launched in 1996 and designed by World Cup and Ryder Cup star Christy O'Connon Jr. 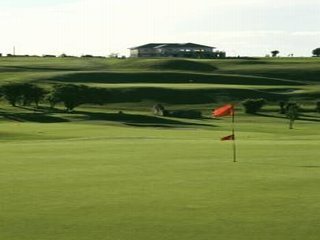 This 18 hole magnificent course provides a challenge to all golfers. Spectacular views. Gort Golf Club opened its new 18 hole championship course in June 1996. Designed by World Cup and Ryder Cup star Christy O'Connor Junior, this magnificent parkland course provides a real but fair challenge to all golfers. The views from the course of the Clare hills and The Burren, of Lady Gregory's Coole Park and the Old Newtown Racecourse, are truly spectacular. This is a course for every club in your bag. The course is just 3km from Gort town on the Old Kilmacduagh Road, and is just a 20 minute drive from Galway Airport and a 30 minute drive from Shannon Airport.